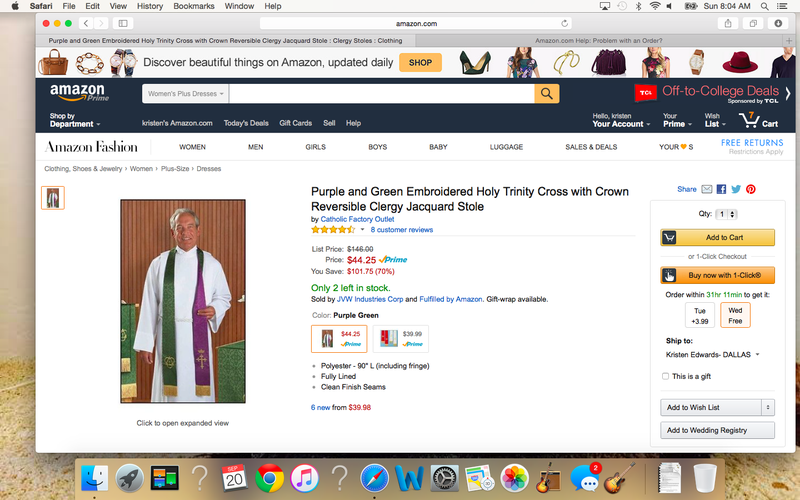 So when I searched for plus sized women’s dresses on Amazon, I was advised that being a male in a shapeless shift catholicy-vestment-thingy is my best bet. I CAN’T WAIT TO WEAR THIS OUT TONIGHT! HOW SHOULD I ACCESSORIZE IT? WHAT SHOES?